A few days ago, our DIN SPEC 16699 “Open Colour Communication” was published and is now available for free download from DIN’s Beuth-Verlag. Matthias Betz from Proof GmbH, Holger Everding from DTP Studio Oldenburg, Jan-Peter Homann from Homann Colormanagement in Berlin and Eric. 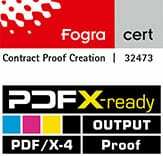 A Soder from Pixsource in Switzerland, all members of the association freieFarbe e.V., have shown in the bilingual DIN specification a way to create high-precision color samples on the basis of open source, license-free standards and have shown ways for cross-media color communication. 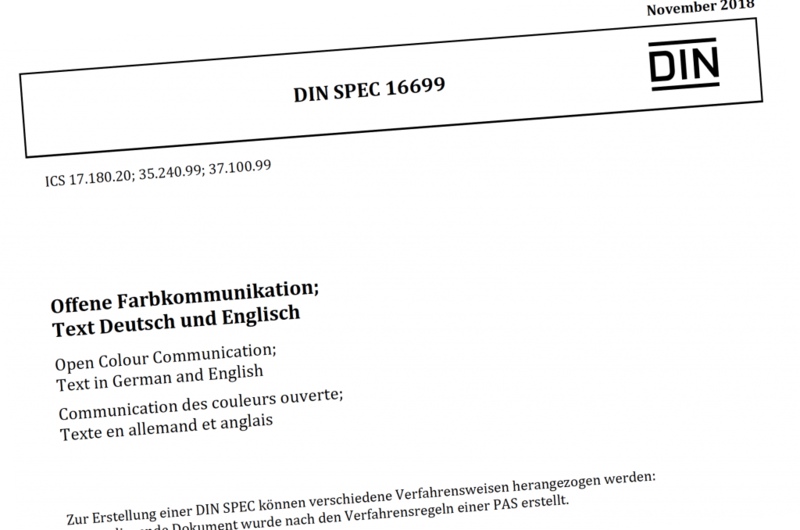 The 44-page PDF is bilingual in German and English and can be ordered directly from Beuth Verlag, which distributes the DIN standards in Germany, and downloaded free of charge after a short registration.